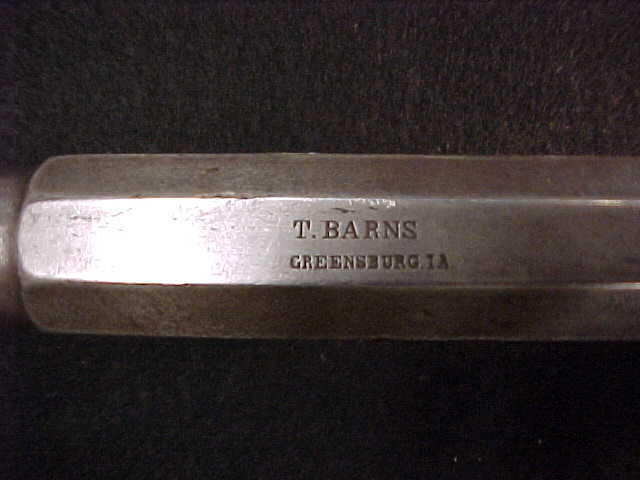 Percussion Single Shot Underhammer Pistol, By T. Barns, Greensburg, IA, with Holster and Cleaning Rod. 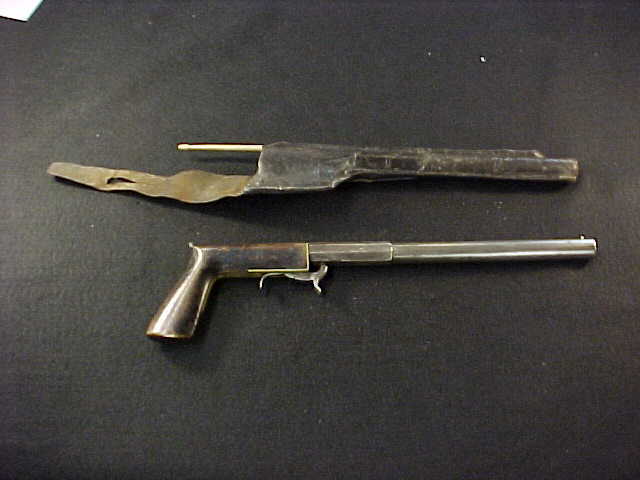 .25 caliber, 11 1/4 inch part octagonal, part round barrel with brass pin front sight; the top of barrel breech marked T BARNS/GREENBURG IA; brass mounts to varnished walnut grips. 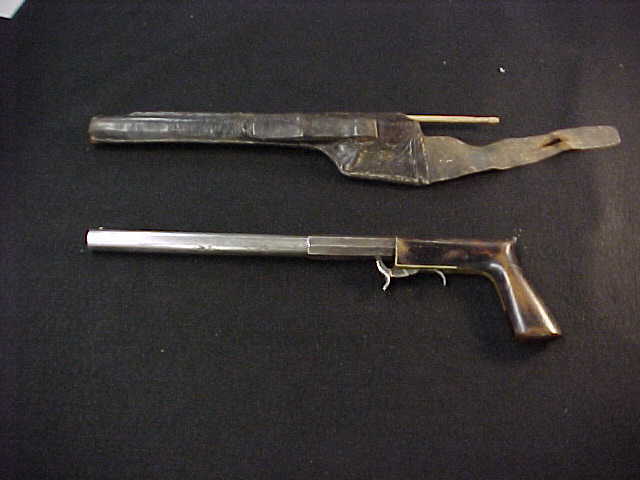 Period leather form-fitted holster, with slot for hickory cleaning rod; strap and belt loop for attachment to user.